Our Pocket Gel Mattress by Kayflex utilises unique technology to provide an excellent level of support for your body whilst maintaining a high level of comfort to ensure that you receive an excellent night’s sleep. The Pocket Gel Mattress by Kayflex combines the revolutionary pocket spring system with memory foam and unique Hydrogel. The pocket springs work individually from each other to provide your body contours with a precise level of support. 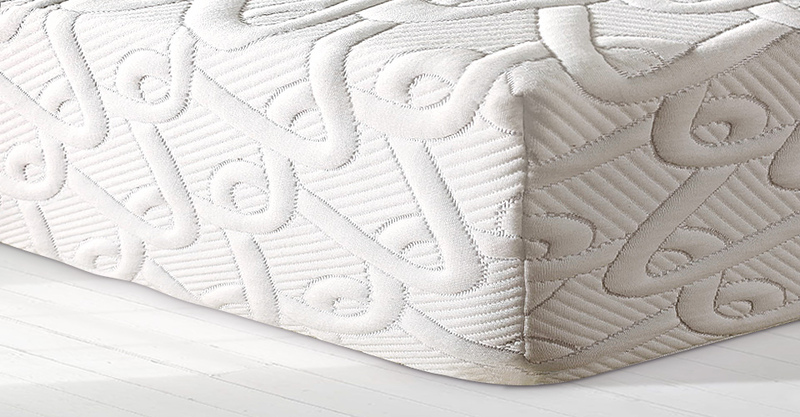 These springs are surrounded by a reflex base wall to ensure maximum support and topped off with a generous 50mm layer of luxurious memory foam which moulds to your body contours. This is then further topped off with a gel infused layer of memory foam for additional comfort. An extra layer of HydroGel offers a unique level of comfort for your body to ensure a well balanced sleeping surface. The whole mattress is covered in an embossed knitted stretch cover which benefits from being removable. The Pocket Gel Mattress by Kayflex of a medium firmness rating. This would make an ideal choice of mattress for those who prefer the comfort and support that a standard medium mattress has to offer. This is a uniquely designed mattress by Kayflex offering a combination of cooling gel, pocket springs, reflex foam and memory foam to ensure that your body receives an excellent level of support and comfort for an ideal night’s sleep. Please quote this Products's code 38016 to speed up your query if related. by Kayflex utilises unique technology to provide an excellent level of support for your body whilst maintaining a high level of comfort to ensure that you receive an excellent night’s sleep.